About Paramount Aviation Resources Group, Inc.
Paramount Aviation Resources Group is dedicated to reducing costs through impeccable service and unwavering support while fostering and improving safety in aviation. In aviation, there is nothing more important than SAFETY. It is imperative for any airline’s long term survivability and viability that a commitment to safety is engrained into every facet of the corporate culture. This means that every single employee is fully committed to operating a safe flight operation. We help to foster this safety oriented environment by providing only the most dedicated and professional airmen in the aviation business. 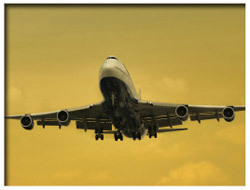 Paramount Aviation Resources Group will lower your costs. We help to alleviate the expense and burden of recruiting and subsequent administrative support functions through our crew leasing and recruiting services. Our service commitment to our customers is to recruit and lease the aviation industries’ highest quality flight crew members. We ensure that any potential flight crew member we present to you passes our strict screening process FIRST. Additionally, our flexibility allows us to custom tailor our services to specifically meet your criteria. All of us at Paramount Aviation Resources Group are committed to providing the best support in the business. We will respond promptly to address your concerns. We will help you overcome unexpected challenges. Our objective is to establish a long-term relationship with you. This is only possible by consistently exceeding your expectations.